FUELING UP: Park View students asked New England Patriots player Nate Ebner questions about his plight as a professional athlete during the school’s Fuel Up to Play 60 event last week. When Park View Middle School students arrived at school Tuesday morning a week ago, they were not expecting to see an NFL player ready to hand out breakfast from the school’s Grab n’ Go breakfast cart, but that’s exactly what happened. New England Patriots Player Nate Ebner arrived at Park View early to greet students in the gymnasium, where the school’s breakfast cart is set up to make it easy for students to grab something to eat before heading into class. The school currently offers breakfast two ways: at the Grab n’ Go cart that is parked in the gymnasium and in the school’s cafeteria. Using two different methods allows Park View to reach a greater number of students, since not everyone has time to eat breakfast in the cafeteria upon arriving at school. The addition of the Grab n’ Go model, which allows students to pick up something to eat on their way into or during the very beginning of class, provides more flexibility to accommodate busy schedules. After breakfast service ended, a group of students joined Ebner in the cafeteria for a 30-minute question and answer session. The students asked him questions about his journey to becoming a professional football player, an Olympic rugby player, and what drives him as an elite athlete. The group also discussed the importance of nutrition and physical activity for fueling success on the field and in the classroom. 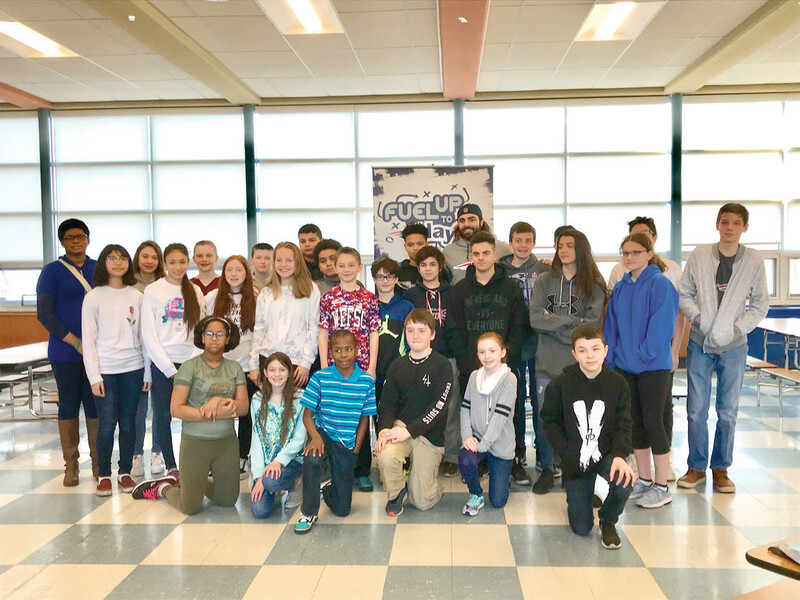 Jane Vergnani, RDN, LDN, Program Coordinator, Youth Leadership with New England Dairy & Food Council, described the breakfast model at Park View Middle School to be “very inclusive” since they offer students two ways of receiving breakfast once they arrive at school. “The students that don’t have time to sit and eat in the cafeteria are not being missed, thanks to the Grab n’ Go cart in the gym,” said Vergnani. Park View participates in the nationwide Fuel Up to Play 60 program, which is a student-led, in-school physical activity and nutrition program that has supported their breakfast program expansion. Funding for this program is provided by New England Dairy & Food Council and the dairy farm families of Rhode Island and New England.